By 2050, people age 65 and older will make up 20% of the total U.S. population. The fastest growing group of American’s are those 85 years old and up. According to the last census in 2010, there were 5.8 million age 85 or older. By 2050, it is estimated that there will be 19 million people aged 85 years or older. 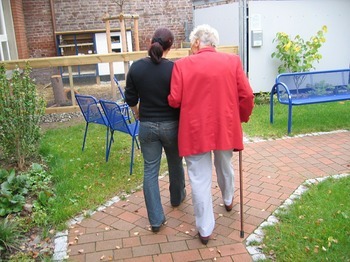 Moreover, 1 in 8 people age 85 or older resides in a nursing home or long-term care facility. As the need for skilled nursing home care grows, so does the rate of elder abuse and neglect. 5. Adult day service centers (273,200). Often times, these elderly residents are subject to elder abuse and neglect. In 2014, the earliest year of available data, there were 14,258 complaints of elder abuse, gross neglect or exploitation by patients in long-term care, skilled nursing or nursing home facilities. Furthermore, because elder abuse and neglect is underreported, experts believe the number of instances of abuse is probably much higher. The problem is often a systemic problem with the facility. Lack of staffing, oversight, care, and proper supervision lead to a host of problems for residents. In 2008, the U.S. General Accountability Office revealed that 70% of state surveys missed at least one nursing home deficiency and 15% of surveys missed actual harm and immediate jeopardy of a nursing home resident. Choosing a long-term care facility for yourself or a loved one is a challenging endeavor. Ensuring that the facility is well equipped, with adequate staff and access to top-notch doctors and nurses is key. Without adequate and well-trained staff, a resident with shaky hands who needs helping eating can become malnourished, a resident at risk for falls can become injured or a resident who is bedridden can develop pressure sores or ulcers. As the population grows older and the need for long-term care increases, it is critically important that you choose the best available long-term care for your loved one. If you have encountered negligent or inadequate long-term care that has caused your loved one to be subject to abuse or neglect, let us know and we can help. Don’t let your loved one suffer any longer. If you believe that a family member has been abused or neglected in a nursing home, or if someone you love has suffered a serious injury or died as a result of elder abuse or neglect in a nursing home, call The Collins Law Firm today for a free consultation and to learn how we might be able to help your family in this time of need. Related Posts: How to Select a Nursing Home for Your Loved One, Is Your Loved One in a Medicare or Medicaid-Certified Nursing Home? These are His/Her Rights., Nursing Homes No Longer Allowed To Force Residents Into Arbitration Agreements, Nursing Home Abuse or Neglect: What Can You Do?